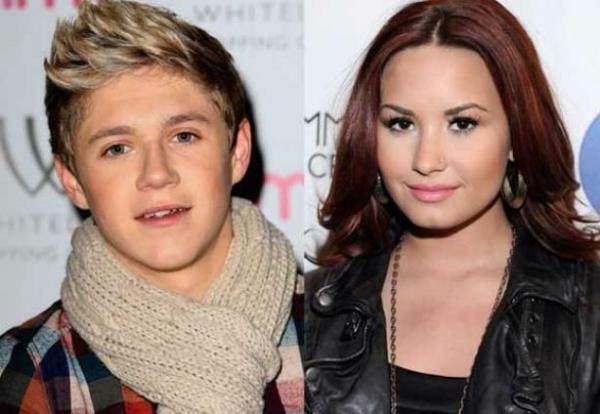 One Direction heart throb Niall Horan has revealed that he has a crush on Demi Lovato. During an ETalk interview the five members of the hit boy band were shown snaps of celebs and asked to choose which one of their band mates would most likely to start dating them. When Demi Lovato's photo was held up Niall Horan chose himself, adding "100%" along with his name. All of the boys also choose Niall except for Harry who scribbled, "Niall dreams dirty things." Speaking about Niall’s crush before, his mother said Demi Lovato would be worthy for her son. "I don't know much about [Demi] to be honest,” Maura Horan said, adding "I'd like to see her all right. And she's of a similar age, she seems to be a nice girl." It seems his crush is reciprocal. During a recent interview Lovato described the Mulllingar native as adorable! Watch this space for the next teen dream couple!